Join Us for the 2015 IDA Awards Gala on October 23rd in Denver! Mike Fordyce has been selected to be the 2015 recipient of the Invisible Disabilities Association Healthcare Award. 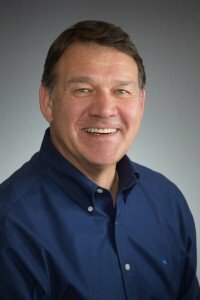 Mike has been chosen because through his leadership as President and CEO of Craig Hospital, he has helped create a world-renowned, premier center for specialty rehabilitation and research for people with spinal cord injury and traumatic brain injury. In addition, Mike’s leadership has help empower patients to fully participate as members of their own recovery care teams. Mike has held his position at Craig Hospital since October, 2008. Mike served on the Craig Hospital Board of Directors from 1998-2005, and was Chair of the Board from 2003-04. 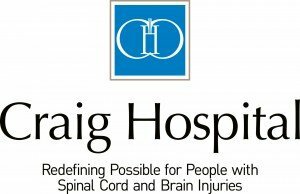 Craig is a world-renowned, private, non-profit rehabilitation hospital and research center that specializes exclusively in treatment and research of patients with spinal cord injury (SCI) and traumatic brain injury (TBI). Founded in 1907, Craig Hospital has been ranked in the Top Ten of America’s Rehabilitation Hospitals by the U.S. News and World Report every year since the rankings began in 1990. Prior to Craig, Mike held leadership positions at Catholic Health Initiatives (CHI), where his last position was chief administrative officer. CHI, a national health care system, owns and operates 72 hospitals and 42 long-term care facilities across the country. He was with CHI for 21 years, with a strong background in administration, strategy, organizational development, and human resources. He received his academic training at the University of Cincinnati. He has served on numerous hospital and community boards and currently sits on the board of directors for the following organizations: the National Sports Center for the Disabled; the University of Cincinnati School of Business; the Denver Metro Chamber Leadership Foundation and the Colorado Hospital Association. Mike also serves as a member of the Colorado Forum. Mike’s award will be acknowledged at the 2015 Awards Gala on October 23rd, 2015.